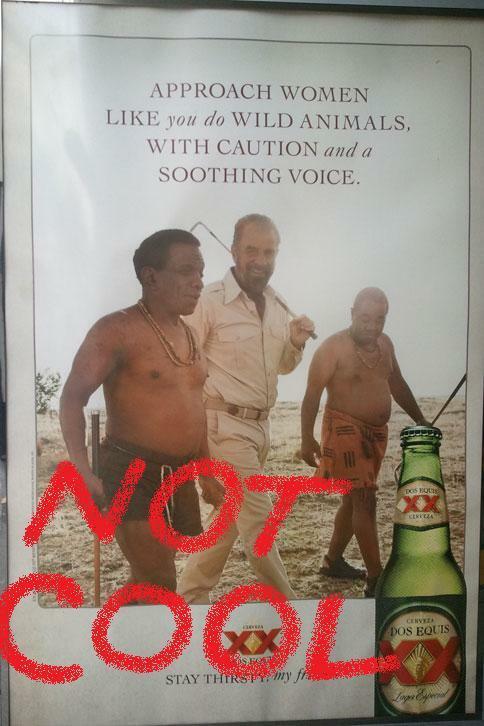 Thanks to Chloe at feministing, I discovered #notcool the website which helps angry viewers to alter wretched ads. Simply by adding “NOT COOL” in spray paint style (MS Paint anyone?) the ads become a parry/response kind of read. Although I like #notcool, I think there is a further discussion to be had about the symbolic energy sponge of angry web-based re-articulation. I think this site might satisfy the desire to actually graffiti terrible advertisements. I cheer on those who alter public space with graffiti and billboard modification, so I guess I just wish the response meme could somehow swamp or poison the brand.